Transformational Leadership and Culture International LLC – "Because Every Result Requires TLC"
"Because Every Result Requires TLC"
John Maxwell Certified Training includes individual and team development programs and mastermind groups from topics like "The 21 Irrefutable Laws of Leadership", "The 15 Invaluable Laws of Growth", "Everyone Communicates, Few Connect", "Sometimes You Win, Sometimes You Learn", and more. YouthMAX is a youth leadership program created in partnership with the John Maxwell Team and Nick Vujicic that develops young leaders and educates on anti-bullying. Contact us about keynotes and other speaking presentations on Transformational Leadership, Positive Change, and Culture Development. Live2Lead begins with a half-day, leader development experience, and is growing to include added content in the afternoon. 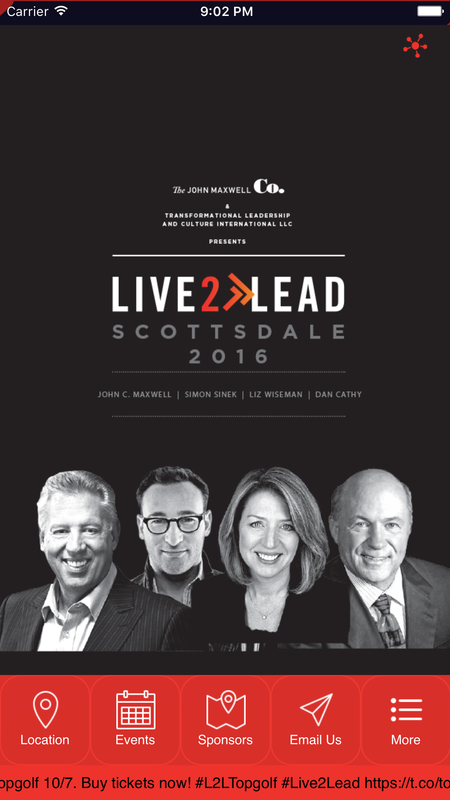 Live2Lead Scottsdale is a leadership destination event designed to equip attendees with new perspectives, practical tools, and key takeaways. You’ll learn from world-class leadership experts, be prepared to implement a new action plan, and start leading when they get back to the office with renewed passion and commitment. "Culture Eats Strategy for Breakfast Every Day"
John C. Maxwell says that "Everything rises and falls on leadership". That's why "Winning Is An Inside Job"! Whether you are growing personally or professionally, as an individual or a team... you can only win from the inside out. That's why culture is so critical to the success of strategy and tactics. That's why leadership determines the real results you are going to achieve. Stay engaged with our events, and content from the top leaders. You'll get the latest news and updates from us, plus occasional inspiration, and you can follow speaker's blogs, podcasts, and media. Transform your performance and develop the culture necessary to level up.